What inspires Millennials to switch jobs so often? The fact that searching for new positions has become part of employees' routine. 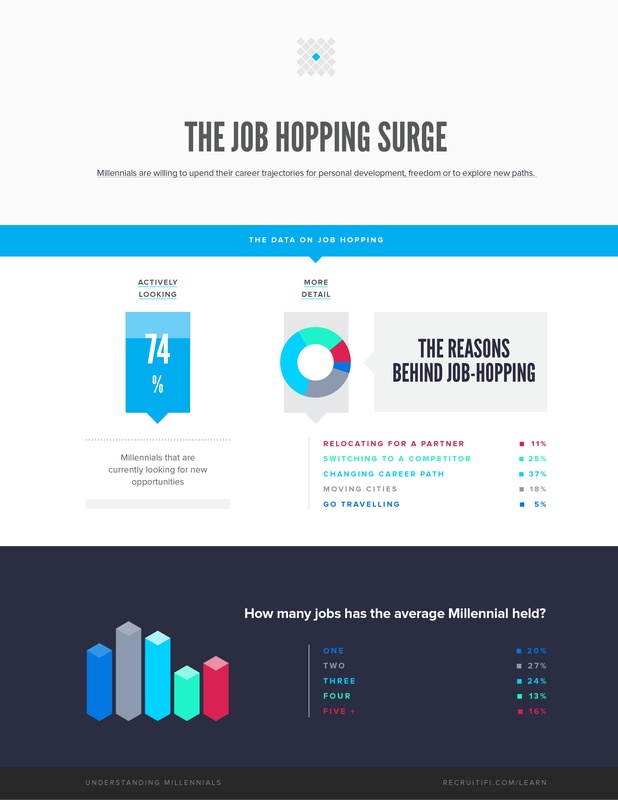 The major reasons why a Millennial would switch jobs. The vast majority of Millennials have had more than one position during their short careers, and 69% of them say that searching for new positions is part of their normal routine. Why are Millennials always looking, and what would make them jump from one job to another? Download this article for the statistics on why Millennials would leave their current company, and whether or not they would consider blue collar work.